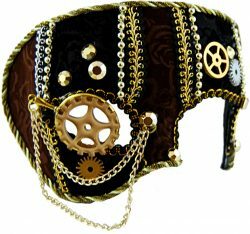 An easy to wear themed mask with gold and silver cogs. 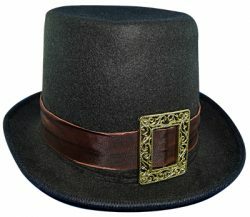 Black Steampunk top hat with brown hat band and gold buckle detail. Add some Steampunk gloves to your costume too. 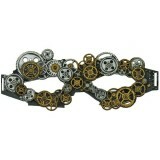 Masquerade mask glasses steampunk brown with gold embellishments. Love this!! 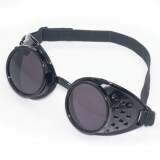 Black steampunk styled goggles. Perfect for an accessory to add to your collection.